רמת גן - רח'זבוטינסקי 155 (פינת בן גוריון), קומה 3 בבנין נח מנחמי. חיפה - קניון לב המפרץ, קומה 3. קרית מוצקין - רח' אושיסקין 1. הדם זורם בורידים אל הלב, כלומר בורידי הרגליים קיימת זרימת דם מלמטה למעלה. משאבת שרירי השוק היא הדוחפת את הדם בדרכו למעלה, למשל בעת ההליכה. כל 10 – 15 ס"מ בוריד ממוקמים מסתמים, המונעים מהדם לדלוף חזרה לכיוון הקרסוליים. כאשר המסתמים תקינים הדם זורם במערכת ללא כל בעיה. ורידים ברגליים סדורים בשלוש מערכות: המערכת העמוקה, המלווה את העורקים. המערכת השטחית שמנקזת דם לתוך המערכת העמוקה, בעיקר במפשעה בברך ובקרסול. ומערכת של ורידים מחברים ('פרפורנטים'), שמהלכם ניצב לציר הרגל. בכנס הואסקולרי הגדול VEITH שנערך בניו יורק. הוזמן להציג מחקר חדש אשר בוצע בביה"ח רמב"ם המונע ניתוחים פולשניים מיותרים ואף מציל חיים. Carcinoma of the prostate - the Northern Israel Oncology Center experience in the years 1977 – 1982. CCK affect gut myoelectric activity through hypothalamic CCK-A receptors. In: Cholecystokinin. Edited by Reeve JR, Eysselein V, Solomon T, Go VLW. N. Y. Acad. Sci. 713: 358-361, 1994.
to the peripheral circulation. Am. J. Physiol. 267: R1309-R1319, 1994. Immediate and late changes in renal endothelin-1 (ET-1) excretion after renal Transplantation. Transplantation Proceedings 29: 2695-2696, 1997. The effect of flufenamic acid on gastrointestinal myoelectrical and transit time dogs. plasmid DNA encoding subterranean mole rat Spalax ehrenbergi VEGF. Proc Natl Acad Sci USA 100 (8): 4644-4648, 2003.
to promote collateralization in a diabetic mouse ischemic hindlimb model. 7. Bishara B, Shiekh H, Karram T, Rubinstein I, Azzam Z, Abu-Saleh N, Nitecki S, Winaver J, Hoffman A, Abassi Z.
Cardiac hypertrophy in rats with experimental congestive heart failure. J Pharmacol ExpTher 326(2):414-22, 2008. Cancer of the prostate: is there a need for aggressive treatment? Urol. Int. 42: 49-52, 1987.
prostate in the years 1977 – 1982. Int. Urology & Nephrology 21: 325-332, 1989. Appendiceal calculi and fecaliths as indication for appendectomy. Surg. Gynecol. Obstet. 171: 185-188, 1990. Trash foot following abdominal aortic surgery. Late presentation of Bochdalek hernia. Isr. J. Med. Sci. 28: 711-714, 1992.
prostate by definitive external irradiation. Int. Urology & Nephrology 24: 425-428, 1992. 1992 Year Book of Family Practice. Pp. 170-173. Obstructive jaundice: diagnosis and therapeutic approaches. J. Trauma 33: 935-938, 1992. Contemporary management of the appendiceal mass. Br. J. Surg. 80: 18-20, 1993. Management of the leaking rectal stump after Hartmann’s procedure. Am. J. Surg. 165: 285-287, 1993.
ulcerative colitis and familial colonic polyposis. Update of experience with prostatic cancer. Temporal artery biopsy required or superfluous? Experience of a decade. Appendiceal mass: diagnosis and treatment. Lower limb ischemia in primary antiphospholipid syndrome. Eur. J. Vasc. Surg. 7: 414-419, 1993. Br. J. Cancer 68: 775-776, 1993. Posttraumatic superficial temporal artery aneurysm. The natural history of surgically treated adenocarcinoma of the appendix. Ann. Surg. 219: 51-57, 1994. Predictive factors of traumatic cervical spine fracture outcome in children. 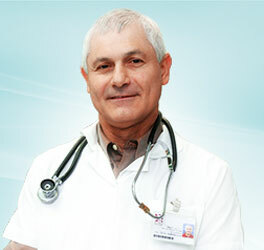 J. Pediatr. Surg. 29: 1409-1411, 1994. Ann. Surg. 221: 59-66, 1995. The Cancer Journal 8: 6-9-, 1995. Pancreatic Diseases 1: 1-6, 1995. Inflammatory abdominal aortic aneurysms: a case-control study. J. Vasc. Surg. 23: 860-869, 1996. 1996 Year Book of Oncology. Focus & Opinion. Pp. 110-112. Kisselevich I, Nitecki S, Eidelman S, Kerner H.
imunnohistochemistry and DNA flow cytometry. urinary tract lesions after kidney transplantation. Transplantation Proceedings 29: 2693-2694, 1997. Analysis of early and long-term results in 62 patients. J. Gastrointest. Surg. 3: 15-23, 1999. Epitheloid angiosarcoma associated with a Dacron vascular graft. Am. J. Surg. Pathol. 23: 1418-1422, 1999.
recurrent leg deep vein thrombosis. Am. J. Med. Sci. 319: 414-416, 2000. Severe ergot-induced lower limb ischemia treated by epidural anesthetics. Eur. J. Vasc. Endovasc. Surg. 20: 312-315, 2000. CT angiography of the carotid arteries in trauma to the neck. Eur. J. Vasc. Endovasc. Surg. 21: 401-407, 2001.
imaging for accurate diagnosis of vascular graft infection. Eur. J. Vasc. Endovasc. Surg. Extra 2: 105-108, 2001. Eur. J. Vasc. Endovasc. Surg. Extra 2: 78-81, 2001. Rosenblat M, Volkova N, Presser D, Attias J, Hayek T, Fuhrman B.
cardiovascular diseases: studies in atherosclerotic mice and in humans. Drugs Exp. Clin. Res. 28: 49-62, 2002.
prospective comparison with digital subtraction angiography. Molecular Imaging and Biology 5: 23-25, 2003. J. Ultrasound Med 22: 806-816, 2003. Eur J Neurol 10: 525-528, 2003. 52. Nitecki S, Ofer A, Karram T, Best LA. Compression of the thoracic aorta by a fractured rib. Eur. J. Vasc. Endovasc. Surg. Extra 6: 117-118, 2003.
for an old challenging problem. J Ultrasound Med 23: 443-445, 2004. Volkova N, Presser D, Attias J, Liker H, Hayek T.
56. Schwartz HA, Abassi ZA, Nitecki S, Karram T, Engel A, Ofer A, Hoffman A. Thrombolytic therapy in ischemic limbs: Is it a worthwhile therapeutic option? Internt J Angiol 14:15-21, 2005. J Nucl Med 47:587-594, 2006. 58. Nitecki S, Kantarovsky A, Portnoy I, Bass A. The contemporary treatment of varicose veins (strangle, strip, grill or poison). severe unilateral carotid stenosis before and after carotid endarterectomy. Eur J Vasc Endovasc Surg 32:375-378, 2006. 60. Nitecki S, Bass A.
US-guided foam sclerotherapy in patients with Klippel-Trenaunay syndrome. 61. Nitecki S, Bass A.
Inadvertent arterial injury secondary to treatment of venous insufficiency. endarterectomy in patients with severe unilateral carotid stenosis. J Clin Ultrasound 35:498-503, 2007. Prosthetic vascular graft infection: the role of 18F-FDG PET/CT. J Nucl Med 48:1230-1236, 2007. Venous trauma in the Lebanon War – 2006. Interact Cardiovasc Thoracic Surg 6:647-650, 2007. 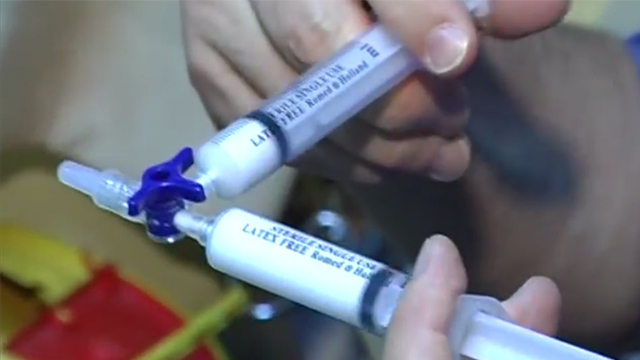 FDG-PET for the detection of infected vascular grafts. Dacron graft aneurysm treated by endovascular stent-graft. Cardiovasc. Intervent. Radiol. 24: 60-64, 2001. Blunt trauma of the innominate artery: a unique presentation. Eur. J. Vasc. Endovasc. Surg. Extra 4: 101-104, 2002. Popliteal aneurysm: is it symptomatic or asymptomatic? Case Rep. Pract. Rev. 7:69-71, 2006. Update in Surgery 2: 22, 1991. Ann. Surg. 221: 202, 1995. Behcet’s disease – clinical signs, diagnosis and treatment. Brain-gut axis and motility – what is new? Surgical & Gastroenterological Research Group. October 18, 1994. Pittsburgh, Pennsylvania, USA. Minnesota Vascular Surgical Society. April 30, 1995. Red Wing, Minnesota. effect themanagement of vascular injuries. (Faculty) AIM Symposium 2007. November 12-15, 2007, New York, USA. Effects of brain perfusion of NPY on MMC and body core temperature. Israeli Symposium on GI Motility. November 25, 1991. Tel-Aviv, Israel. 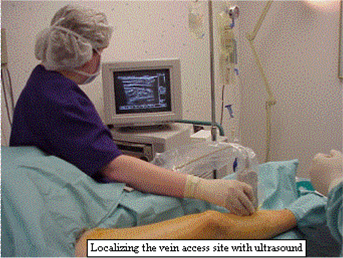 Modern non operative treatments for varicose veins. Woman’s Health Day. September 14, 2005. Tel-Aviv, Israel. Esthetics. March 21st -22nd, 2005. Tel-Aviv, Israel. Venous Insufficiency – what is it? How do we treat it? Second Opinion – The Specialists. Guest in the Health Program of Prof.
Eitan Friedman. TV Channel 10. June 1, 2006. Hertzlia, Israel. Health-Line in Haifa Radio station (107.5 FM). January 5, 2007. Vascular injuries in the Second Lebanon War. 6th Annual Meeting of Nursing in Vascular Departments. Rambam Health Care Campus, May 30, 2007. Haifa. Vascular Injuries – How do we treat them and what have we learned? 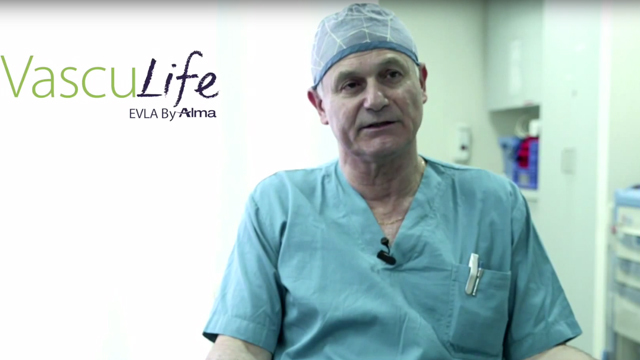 Surgery – The heritage of Professor A. Shramek (his 90th birthday). Rambam Health Care Campus. July 2, 2007. Haifa, Israel. 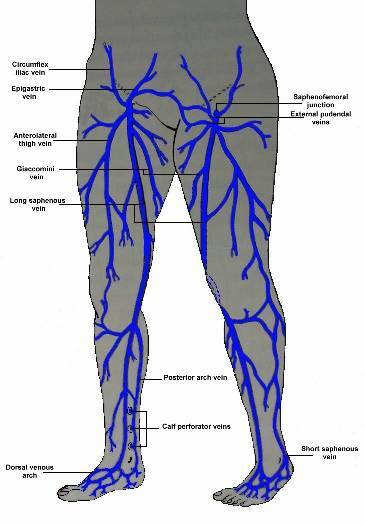 Venous insufficiency –new treatments for an old problem. Forum Rambam. Healthy Knowledge – Specialists' Lectures. Grand Kenyon. September 7, 2007. Haifa, Israel. Rambam Health Care Campus Stuff Meetings. Grand Rounds. Spencer Auditorium. February 14, 2008. Haifa. Israel. Traumatic injury of the thoracic aorta. Hilel-Yafe Hospital Staff Meeting. June 18, 2008. Hadera, Israel. Trauma Conference. January 5, 2009. Haifa, Israel. אני ממליצה בכל לבי למי שנכנס לאתר, מתלבט ו/מחפש מזור לבעיות ורידיו-להגיע לייעוץ המקצועי, האמין מאד והסבלני של פרופ' סמי ניטצקי, ובטוחתני שתותאם לו השיטה המתאימה לו ביותר, אם אכן יימצא שהוא זקוק להתערבות פולשנית לשם פתרון בעייתו. איך כנס ברומא הפך לסיור אישי בגני הואתיקן?